Heavy duty PVC construction. Carrying handle for portability. Sealing key closure prevents spilling. Folds flat when empty. This Emergency Water Carrier is different than most collapsible water containers as it truly does fold into a small area. Most emergency survival water containers collapse their width, but not their height in an accordion style due to the ridged plastic used. 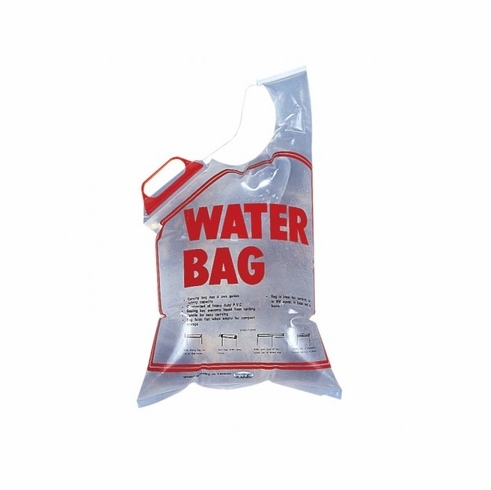 This does not allow them to be stored in a survival kit or bag like the Stansport 2 Gallon Collapsible Water Bag.